Can you REALLY quit your job and go full time on YouTube? How does YouTube pay you? 3 UNFAIR TRUTHS about making money on YouTube! Passive income from the internet changed my life. This is my story! ….and has to explain and apologize to angry viewers! Omg..
Want to see a YouTube Paycheck? I’ll show you mine! Here’s my paycheck! I think we have all wondered how much money YouTubers really make. Now that I make a regular income from YouTube, I thought I would share. Maybe it will inspire you to finally pick up your camera! Top 3 Ways to Make Money on YouTube! Think you have to be a HUGE famous YouTuber in order to get endorsement deal offers? Think again! The offers I get from sincere companies with great quality products (vitamins, organic teas and makeup lines) are picking up speed with the holiday season coming up. Sneaky product placements are not my style, but you can make them work for you! Yet another great way to make money on YouTube! UPDATED: For 2018 and BEYOND! Order now and get your free added bonus! 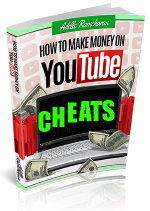 YouTube CHEATS outlines the sneaky ways I got YouTube to promote my videos for free. These videos were recommended to millions of viewers and showcased on the YouTube 'Home' and 'Trending' page, earning me thousands of dollars and tidal waves of new subscribers. There is nothing funnier than people leaving comments like "WHO are you and WHY do your videos keep showing in my reccomendations??" Hahaha! This e-booklet shows you the theory and plan behind it all. "Wow.. I had no idea how much I was missing. This book spelled it all out clearly, was well organized and thoroughly explained answers to questions I didn't even know I should have been asking! Well worth the money and more." "This book is the perfect tool to help YouTube vloggers enhance the quality of their channel while designing it in a way that welcomes more viewership and income. The book was an easy read with powerful concepts." 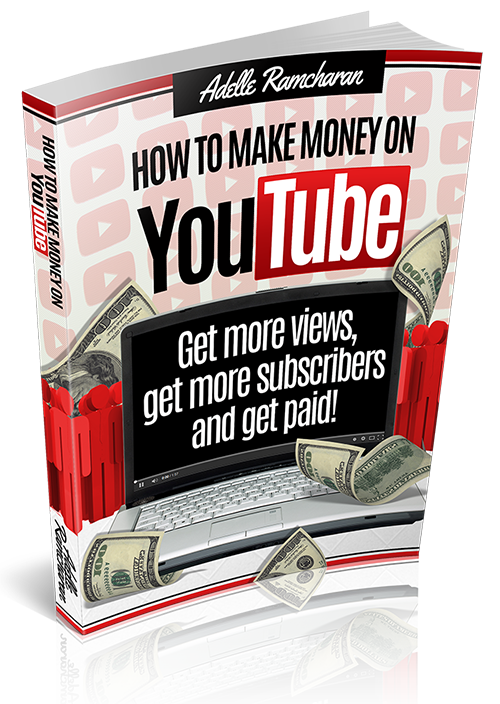 "If you've been considering starting a YouTube channel or already have one and want to know how to make money from your views, I highly recommend this book. Simple and easy to understand methods to a successful YouTube channel. Thanks Adelle for being an inspiration and for your sweet heart. I loved it!" " I've been doing so many things wrong and I had no idea. So glad I found your video and this book when I did. Best investment I've made on my YouTube career to date, hands down." "I love this resource. I am impressed by how easy it is to follow, and how informative it is. I want my colleagues to know how easy it is to monetize YouTube videos! I have been making videos for years, and now that will pay off for me. Thank you, Adelle!" "Adelle, you've done something great here. I can't wait to implement these crucial changes on my channel"